I agree to pay the reservation deposit ($ 319.9) for this order. 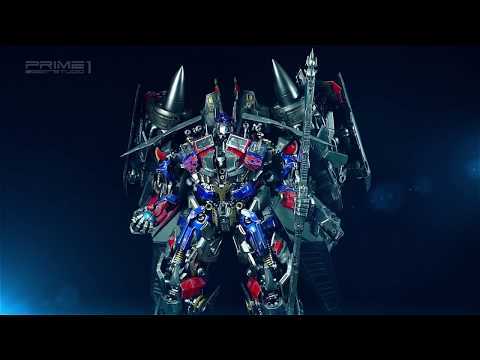 Prime 1 Studio is proud to present MMTFM-21: Jetpower Optimus Prime from The Transformers: Revenge of the Fallen. Transformers (ROTF) is a 2009 science fiction action film. It is the sequel to 2007’s Transformers, as well as the second installment in the live-action Transformers film series. Jetpower Optimus Prime is the upgrade form of Optimus Prime with Jetfire’s parts. In this form, Optimus possess various weapons, including a cannon on his arm, a machine gun, at least one of his swords from his normal mode and both afterburners on his back which can fire massive energy blasts as well. HASBRO and its logo, TRANSFORMERS and all related characters are trademarks of Hasbro and are used with permission. © 2018 Hasbro. All Rights Reserved. © 2018 DreamWorks LLC and Paramount Pictures Corporation. Licensed by Hasbro.